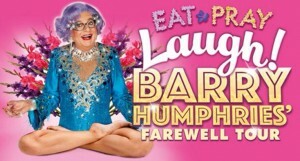 When my friend Sara told me that she had got us tickets to see Dame Edna at the London Palladium, I’m sure a bit of wee came out. 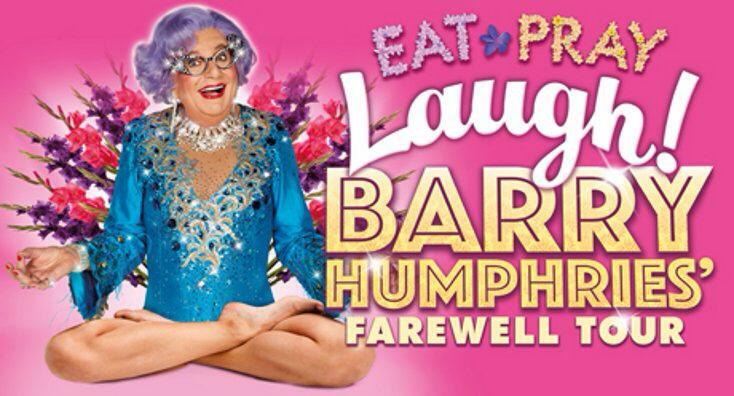 As a boy, I know I sound old (I am), I can remember laughing at the legend that is Barry Humphries’ often with My Mum on our couch in sunny Liverpool. She must have known I was gay then, my dear old mother, not Dame Edna Everage. This afternoon’s performance didn’t fail. It was genuinely funny, with humour that a lot of current performers could learn a lot from. I’m used to moving in royal circles, as I’ve been invited to Buckingham Palace no less than three times in my life. Although, having met Her Majesty The Queen as a National Young Achiever, seeing one of her Dames today in London has concluded my full house of ‘royalty people’ I planned on seeing before I leave this earth.